Welcome to the St. Mark's Examiner! It is full of the children's stories, riddles, jokes and pictures! 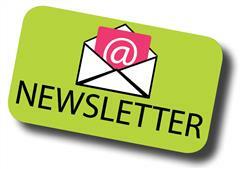 Welcome to St. Mark's Newsletter full of the children's own stories! Sit back and enjoy! Welcome to the life and times of St. Mark's Senior School. All of the stories are written by the children for all the parents and children of St. Mark's!